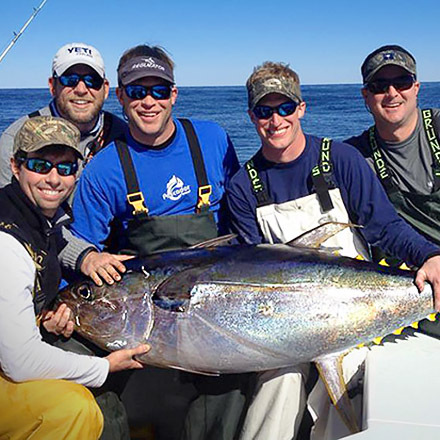 Tuna Fishing Venice: Fish offshore in Louisiana with MGFC — the best fishing in the Gulf of Mexico. When you book with us we guarantee it’s one of the best outdoor experiences you’ll ever have. 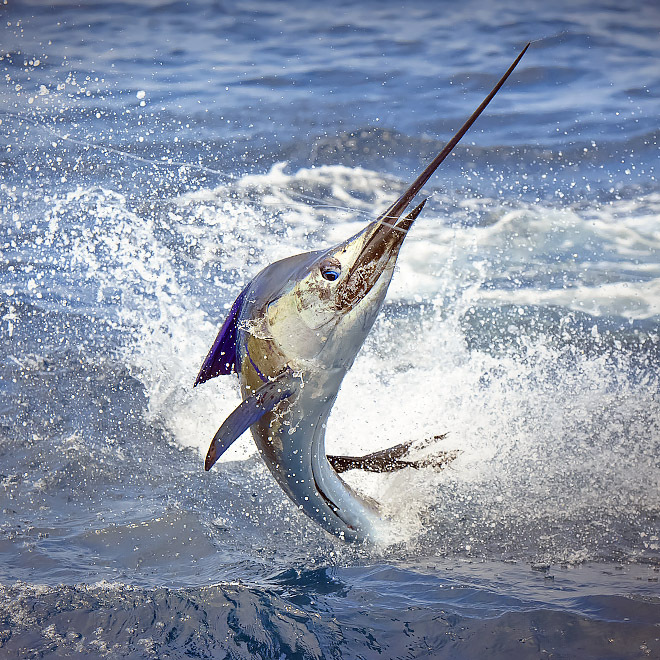 Book now and make your next offshore fishing trip the best yet. Fish with our captains: Kevin Beach, Billy Wells, Jordan Ellis, Colin Byrd, Zach Lewis, Parker Rodrigue, Wade Wells, Richard Draper, and Justin Fayard. 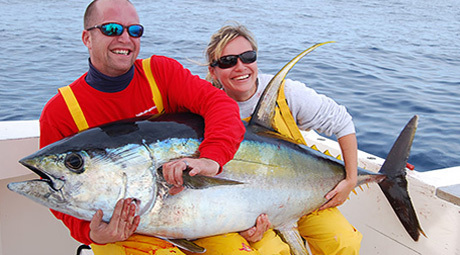 Catch yellowfin tuna — Tuna Fishing Venice, LA. It doesn't get any better than this. A charter passenger license is required. Get your fishing license online right here … there's a $10 fee. Available at LADWF. Tuna, wahoo, marlin and swordfish. We’ve got ya covered. Yes, you’re friends will be jealous. Learn more. 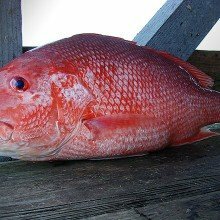 Reef fish such as amberjack, cobia, grouper, snapper, tarpon, triple tail and tile fish. Learn more. 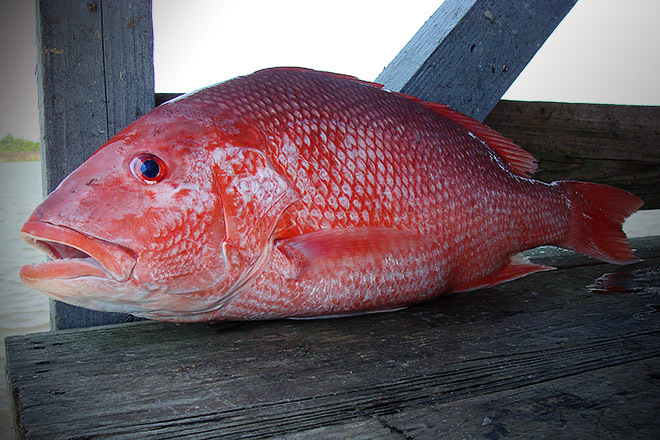 We offer offshore fishing in Louisiana year-round, from Venice — the most active sport fishery in North America. Weather is good almost all year, and we’re just a short drive south of New Orleans. 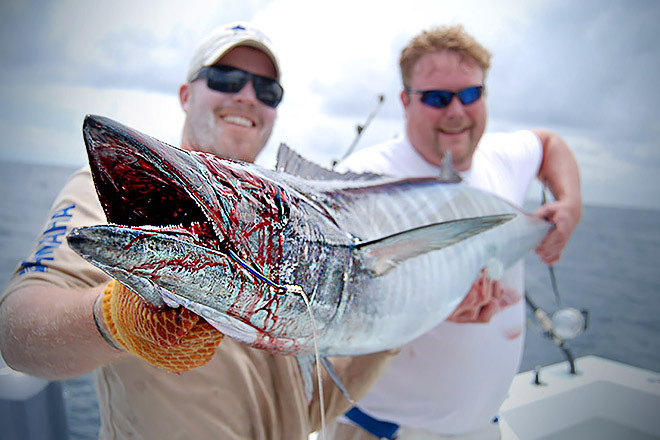 Bring yourself and your friends, and we’ll provide access to the best fishing you’ve ever seen. 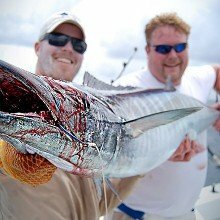 Winter (Jan. - March): Yellowfin, Blackfin, Wahoo, Amberjack, Grouper and Mako Sharks. Winter is the time for Big Tuna. Freeman Boatworks 37’ & 42’ center console cats. 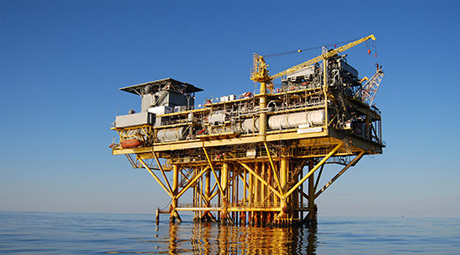 The best in offshore performance. Shimano North America Stella & Talica offshore reels. Terez & Tallus offshore rods. Huk Gear Performance Fishing Apparel - Sun Protective, All Weather Gear. SIMRAD Yachting NSE 12 & NSO 16 onboard systems. Pro level, multifunction displays. Mustad Hooks & sabiki rigs. The best selling hooks on the planet. Seaguar The world leader in flourocarbons. Big game, saltwater fishing lines. E-SeaRider Bean bags and marine seating. The best in comfort. Debbie Allenbaugh, fishing with MGFC is "best ever!" Photos & videos from The Mexican Gulf Fishing Co.